I tested out Walmart’s Online Grocery service mentioned in this post and was compensated by Walmart in order to do so. All opinions are my own. Jordan has been on a clean eating plan for over a year, and she has really enjoyed having more energy and feeling better. She has used three cookbooks by Danielle Walker repeatedly. The meals she prepares from those books are always fresh, loaded with flavor, and guilt-free. Since she and Little Miss have been visiting us for the past week, I have been preparing meals from the cookbooks, too. 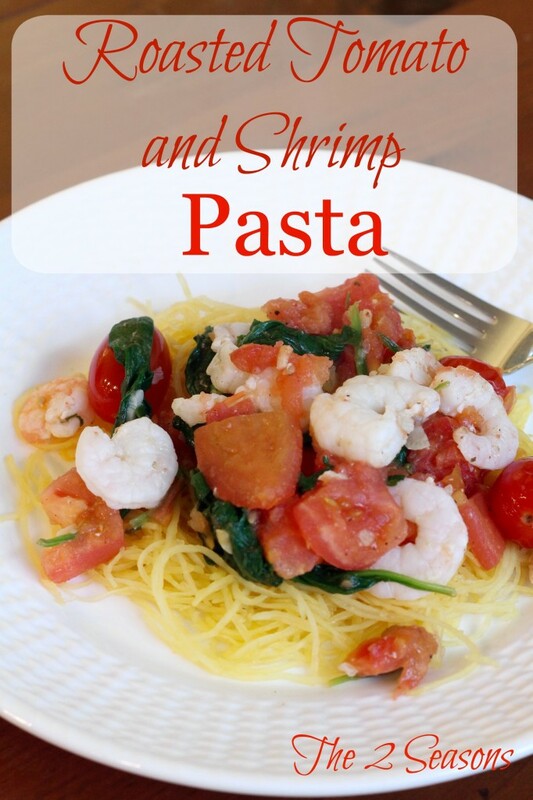 We especially liked roasted tomato and shrimp pasta and thought you might enjoy it. 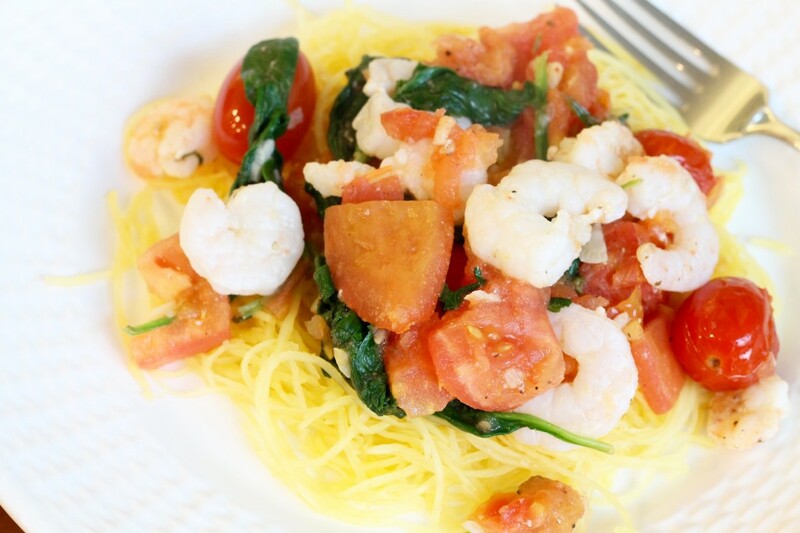 The “pasta” portion of this meal is made from spaghetti squash, but you can easily substitute real pasta if you want. This would be a great recipe to eat during lent. We have been reading about bloggers, who have young children, using Walmart’s free curbside delivery for their grocery shopping, so we decided to give it a try for this recipe. And let me tell you this – we both gave it two-thumbs up. One morning I went to Walmart’s website, filled out an application, selected the items I needed, put in my credit card information, and scheduled a pick-up time. We drove to Walmart that afternoon, and a girl brought everything right to my car. 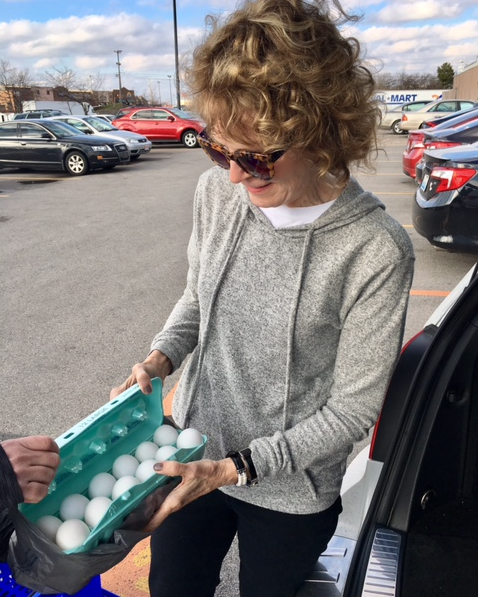 She showed me the produce that she selected to make sure it was okay, and we even checked the eggs. I am excited about this because we travel a lot, and the first thing I do when we return home is grab my car keys, and head to the grocery. Now, I can order everything online ahead of time, and pick it up on our way home from the airport. That’s a win-win. I also have a friend whose 92-year-old mother uses the service. It gives her the power to make her own selections, and then a family member picks it up and takes it to her. Carefully cut the squash in half lengthwise. Scoop out and discard the seeds. Rub 1 teaspoon olive oil all over the skin of the squash and on the surface of the cut sides. Sprinkle the cut sides with 1/2 teaspoon of the salt and 1/4 teaspoon of the pepper. 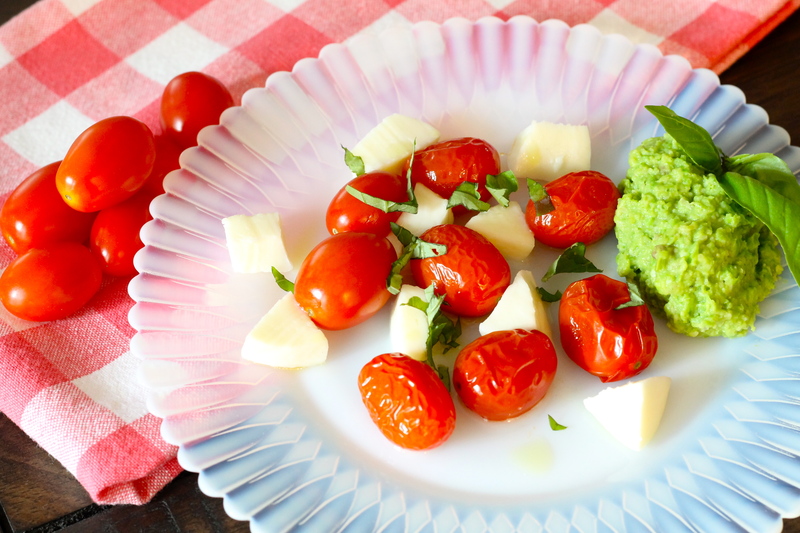 Place the tomatoes in a 9 x 12 inch baking dish and drizzle with the remaining 3 tablespoons of oil, garlic, remaining 1 teaspoon of salt, and remaining 1/4 teaspoon of pepper. Toss to combine. Place the tomatoes and squash in the oven with the tomatoes on the higher rack. Roast 30 to 35 minutes, stirring the tomatoes once halfway through. The squash should be slightly soft to the touch. Pull the squash out and set aside until cool enough to handle. Add the shrimp, parsley, greens, and lemon juice to the tomato dish and stir to combine. Return the dish to the oven and continue roasting for 20 minutes, until the shrimp are pink and cooked through. 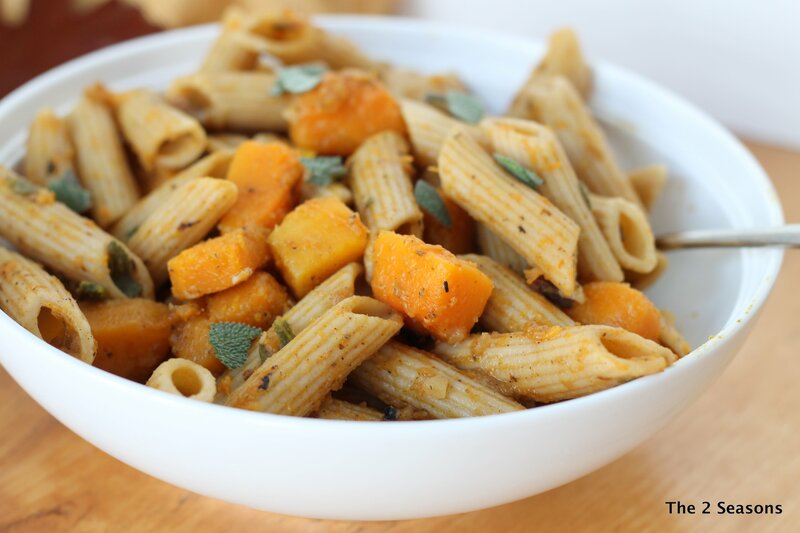 Use a fork to loosen the strings of noodles from the squash and transfer them to plates or serving bowls. Top with the shrimp and tomato mixture. A nice Parmesan cheese can be added to the top, if you wish. This is a great meal. All of us wanted to lick our plates. Enjoy! I am going to tell my Indiana friends about this new Walmart feature. It will really help. Thank you for testing it out. Cheryl, for this particular recipe, I used frozen shrimp because that is what they had. Normally, I use farmed shrimp and salmon, even though I know it isn’t as good for us as the wild. 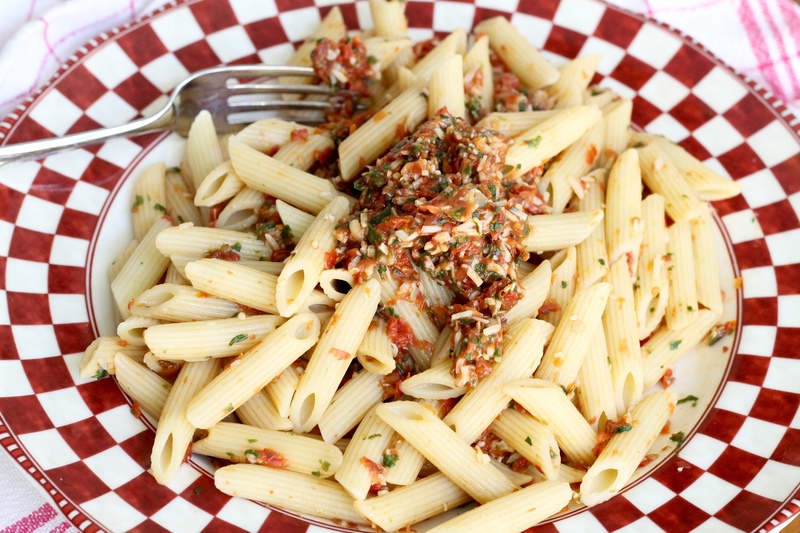 I add a generous amount of feta cheese to this recipe. It is delicious!